Follow These Guidelines For Successful AIT Sessions! Ear Health: Ears must be healthy, free of excessive ear wax or discharge and without any active ear infections before and during all AIT Sessions for maximum gains. Activity Level During AIT: Daily normal activities and routines between the 30 minute AIT sessions are allow. Sessions may be scheduled at different times each day to accommodate schedules or if more than one person in the family is doing AIT. Timing AIT Sessions: We recommend you plan for a less active schedule during the 10 days of AIT and with an easier schedule during AIT Sessions. This way if the person feels tired after AIT sessions, they can rest. For example, a 10 day consecutive period for AIT could be starting on the weekend for 2 days (Saturday + Sunday) then doing 5 days during week (Monday - Friday) then 2 days of the weekend (Saturday + Sunday) plus the next Monday. It helps to build a less stressful schedule if four (4) days of AIT are done without the normal levels for children in school or adults with work demands. Reactions During AIT: AIT is an "exercise" for the ears, the hearing function and the whole auditory system that also stimulates the brain and body through the delivery of alternating high and low frequencies. Sounds that were formerly distorted or not processed properly are then received correctly. During AIT there can be a temporary return of past negative behaviors, changes in energy, changes in mood including more crying or sadness, etc. Things that are also reported during AIT sessions are more tiredness, changes in appetite, thirst, bowels, sleep and even dreams. These are temporary and signs that the auditory stimulation is being effective. If you have any reactions that concern you, please contact us by email. Improvements During And After AIT: For those with auditory processing issues, anxiety, autism, dyslexia, focus issues, hyperactivity, memory issues, OCD, speech delay, sensory issues, etc. watch for improvements in their key areas. Improvement can begin to happen immediately during AIT and are signs the stimulation is being effective. These improvements are lasting and will slowly increase over the next four (4) to six (6) months after AIT is completed. DO: AIT sessions need to be in a calm, quiet environment free from other distractions or stimulation such as bedroom, etc. DO: Plan for sessions to be "quiet time". Plan and choose a time daily that is conducive for timing the sessions to be in a calmer time of day for the participant. If more than one family member is doing AIT, plan and schedule accordingly. NO: Falling asleep; don't do AIT too late before bed or at nap time for children. Participant needs to stay awake during AIT. NO: TV, computer games, Wii, Gameboy, Nintendo, hand-held computer devices, Iphone, Ipad, etc. NO: Playing of any musical instruments or drumming. NO: Reading, computer work, web browsing, Facebook, Instagram/Snapchat, social media, etc. NO: Eating, chewing or chewing gum. Drinking water if thirsty is allowed, when needed. NO: Talking to Participant doing AIT; don't interrupt or ask questions except on starting loudness comfort level. NO: Trampoline, jogging, running, strenuous play, Wii-fit activities, bouncing therapy balls, biking or exercising. Suggested: Rub a young child's back or their feet/hands during AIT while sitting next to them. Color with them quietly to keep them calm and headphones on, etc. 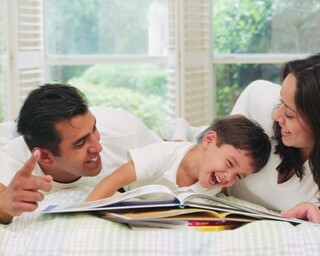 Many young children will enjoy the closeness and some cuddling with a parent. Permitted: The participant singing or making noises during AIT. They may walk around the room if desired. Permitted: Coloring books, coloring or drawing are allowed as a distraction. Permitted: Spinners, sensory type toys or hand fidgets or play dough are allowed as a distraction. Permitted: Paying with stuff animals or dolls for young children are allowed as a distraction. Permitted: Playing with Lego's or blocks is permitted as long as not following a pattern to build something. Permitted: Playing a simple catch game with a soft toy while sitting with children as a distraction. Permitted: Using the bathroom if needed, but guard that the earphones stay ON and the device is PROTECTED from any water damage. It is best to have the participant, especially children, use the bathroom before starting an AIT session. Headphone Are Permitted Post AIT For Spoken Language: Headphones ARE allowed for educational purposes such as books on tape that are voice narrated, computer based homework programs or assignments, foreign language study, etc. Headphones for spoken languages ARE allowed if the materials is played at safe hearing levels below 80 db. NO HEADPHONES FOR MUSIC FOR 6 MONTHS POST AIT: We recommend that no headphones may be used during or after AIT to listen to other music. Read more here. LOUD MUSIC EXPOSURE WARNING: Loud music over an extended period should also be avoided after AIT. It damages hearing and can reverse AIT gains. This includes very loud rock music concerts or other events with extended hours of loud music levels, long fireworks displays, etc. Bring ear plugs for these events if you must attend, for temporary use when needed and to protect hearing. AVOID OTOTOXIC DRUGS AND ALL ANTIBIOTICS: Many antibiotics and other drugs are "ototoxic" which means toxic to the ear function itself and can alter auditory function with each use. Read more and see the list of medications. We recommend that participants maintain a healthy lifestyle during and after AIT. Eat a nutrient rich, whole foods based diet, including organic foods whenever possible. Managing stress with adequate free time, outdoor activities and down time is essential to health and wellness. Managing family dynamics, emotional, school and social activity levels will support continue positive gains after AIT. Avoid all antibiotics, vaccines, drugs and other medication. Filtered water should be consumed daily. Fluoride is a know neurotoxin and endocrine disruptor and should NOT be consumed. Avoid fluoride in toothpaste, mouthwash, dental treatments. Tom's of Maine is fluoride free toothpaste, available in health food stores, some drug stories and online. Check if your city has fluoridated water. Install a water filter in your home if your city has fluoridated water. Not all water filters will effectively remove fluoride, make sure yours does. See a list of water filters that remove fluoride at www.homeopathyforwomen.org/water_filters.htm.